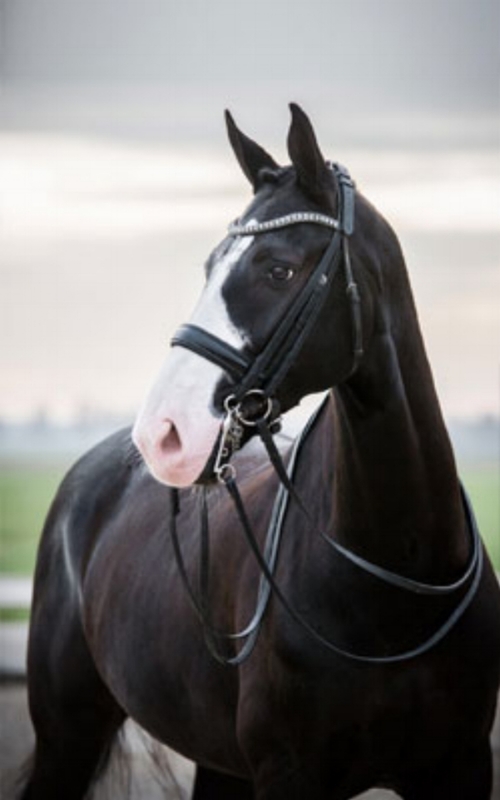 Gorgeous black 12 year old imported Dutch Warmblood gelding by the famous stallion Rhodium. Shown through 4th level and schooling Prix St. Georges with 3 and 4 tempis. Boytano was born to show!!!! Extremely safe and reliable and easy to sit. Talent for collection with expressive changes and great halfpass. Boytano is sweet and attractive with excellent work ethic and an easy going personality. Honest and always willing, Boytano is the ideal schoolmaster for the adult amateur or junior rider who wants a safe and sane teacher that is also extremely competitive.